Mayor Martin J. Walsh said the US Olympic Committee was long aware that he had misgivings about the cost overruns guarantee. Boston’s improbable bid to host the 2024 Summer Games collapsed Monday after seven months and millions of dollars spent, ending a tumultuous effort racked by acrimonious debate, public relations blunders, and limited public support. 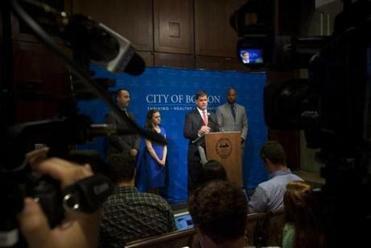 Bid organizers and the US Olympic Committee jointly agreed to pull the bid after Mayor Martin J. Walsh declared at a hastily scheduled news conference that he was not yet ready to put city taxpayers on the hook for any costs related to the Games if local Olympic organizers ran out of money. Anticipation that the bid could unravel had been building steadily for months, because of low public support. Over the weekend, the Globe reported that the USOC was pressing Walsh to guarantee that the city would be the final backstop for Olympic cost overruns or revenue shortfalls, which raised new questions about the long-term fate of the bid. With the USOC scheduled to discuss the Boston bid Monday, Walsh’s news conference seemed designed to preempt a decision from Olympic officials to dump the city. 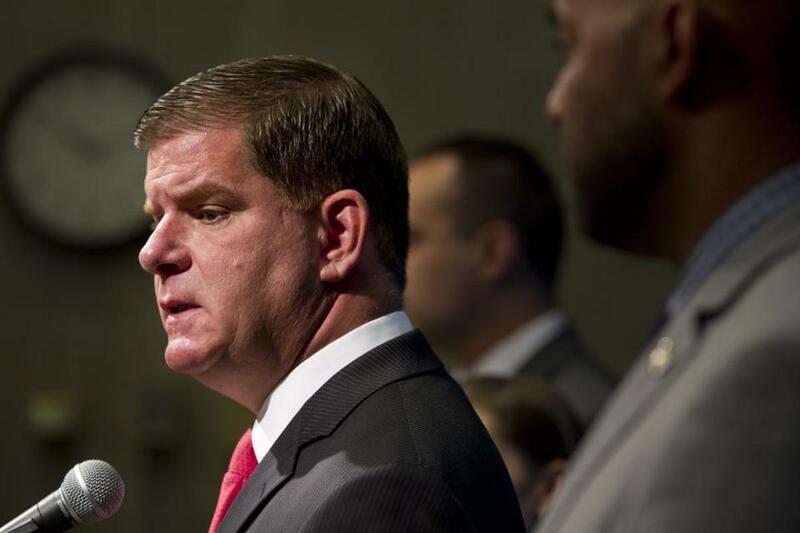 Mayor Walsh this morning hit back against Olympic officials pressuring him to sign a commitment. The USOC turned immediately to finding a new bidder for the 2024 Summer Games, with two-time host Los Angeles the most likely contender. The death of the Boston Olympic effort may also lift the fortunes of a potential 2024 bid from Toronto, which just finished hosting the Pan Am Games. Hours before the Boston effort crumbled, Governor Charlie Baker told the USOC that he would remain neutral on the bid until a state consultant, the Brattle Group, finished an analysis of the proposal from the bid committee, Boston 2024. “I’m not going to question whatever decision the USOC makes,” Governor Charlie Baker said Monday afternoon, before the formal announcement. Baker later parried a series of questions from reporters Monday afternoon, careful not to apportion blame for the bid’s demise, or directly answer a query about whether he was more disappointed or relieved. “I’m not going to question whatever decision the USOC makes,” Baker said. 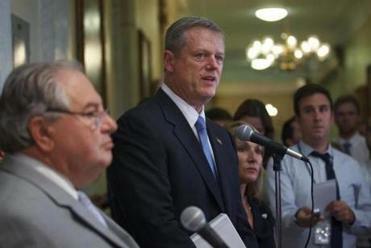 The Brattle report, due in August, will be made public, he said. The state will then get a chance to see how good or bad an idea it may have been. An opposition group, No Boston Olympics, celebrated the termination of the bid. “We are a city with an important past and a bright future,” the group said. A group led by former gubernatorial candidate Evan Falchuk said it would drop the campaign to put a question on the 2016 ballot that would have banned state aid for the Olympic bid. Republican presidential candidate Donald Trump also voiced an opinion, taking to Twitter to criticize Walsh, with whom he has clashed recently. The USOC faces a September deadline to name a US bid city. The IOC will choose the 2024 host in 2017. With Boston out, Mayor Eric Garcetti of Los Angeles expressed interest in resuming a bid for the Games. Los Angeles hosted the Summer Games in 1932 and 1984, and was among three cities Boston beat in January to become the US representative in the international contest for the 2024 Olympics. 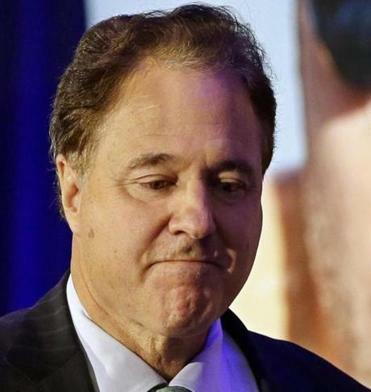 Boston 2024 chairman Steve Pagliuca said the organization would “offer our support and the extensive knowledge we have gained” during the vetting process. Supporters of a Boston Games were left to hunt Monday for silver linings in the bid’s demise. Mayor Jon Mitchell of New Bedford, who had hoped that Olympic sailing would put his city on the international stage, argued that even being named as a potential venue had attracted recreational boaters to Buzzards Bay. “It hasn’t cost New Bedford a nickel and we’ve gotten more good PR out of this effort than we could have ever afforded to pay for,” he said. State Senator Eileen Donoghue, a Lowell Democrat and a board member of Boston 2024, said she was disappointed that her city would not be able to showcase the Merrimack River, the Tsongas Center, and the University of Massachusetts Lowell on the international stage, as the host of Olympic rowing and tae kwon do. The USOC cited low poll numbers as the primary cause of the breakup with Boston 2024. The standoff between the mayor and the USOC over signing the host city guarantee — a promise that Boston would cover any cost overruns — appeared to be the final blow that ended the bid. Boston 2024 had proposed an Olympic operating budget of $4.6 billion and depended on another $4 billion from private developers. The organizers were counting on the federal government to provide $1 billion or more for security. But Walsh, in a Globe interview Monday, said the USOC was long aware that he had misgivings about the guarantee and was not going to sign unless he was confident taxpayer money was not at risk. Boston 2024 developed an extensive insurance plan the committee claimed would protect taxpayers from a wide variety of risks. Walsh said the USOC did not allow him enough time to vet Boston 2024’s budgeting and the insurance plan. Josh Miller and Julian Benbow of the Globe staff contributed to this report. Mark Arsenault can be reached at marsenault@globe.com. Follow him on Twitter @bostonglobemark. Michael Levenson can be reached atmlevenson@globe.com. Follow him on Twitter @mlevenson.